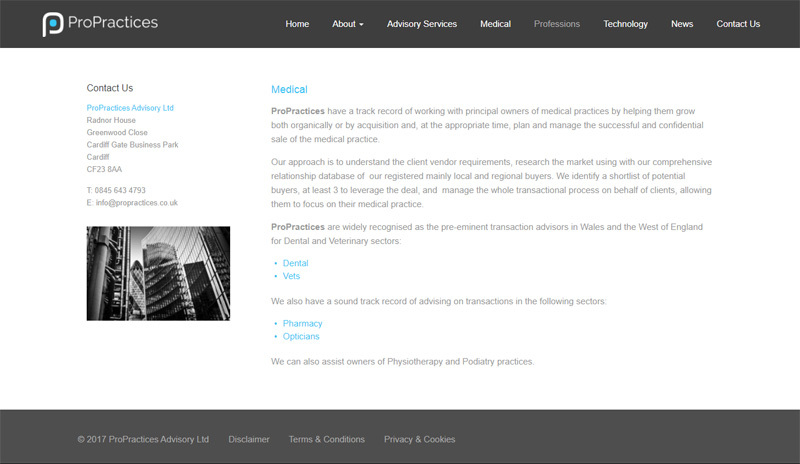 ProPractices is a consulting firm specialising in transactions, valuation and advisory in the medical, professions and technology sectors. 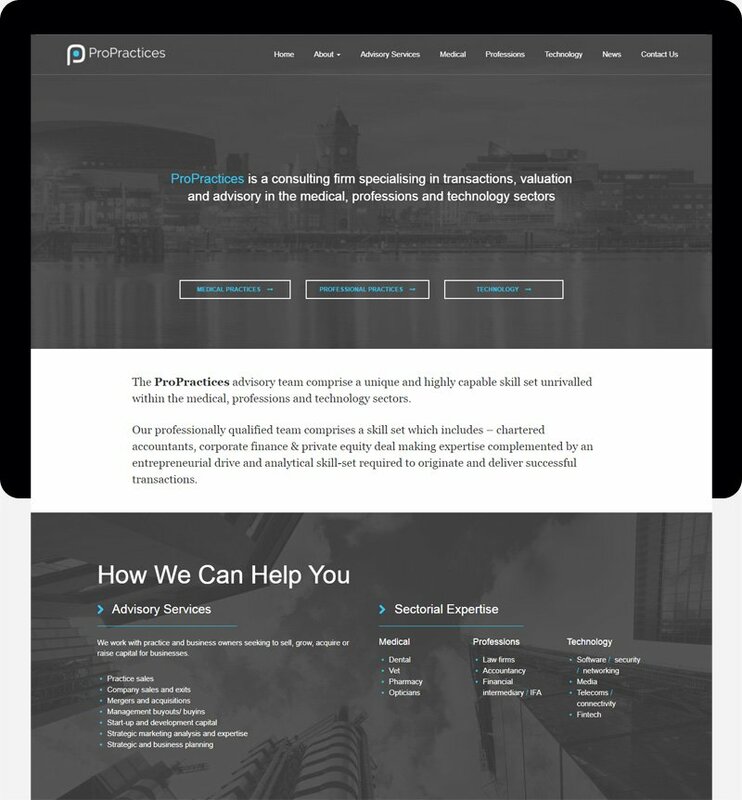 ProPractices is powered by WordPress and utilizes the power of WordPress Multisite to create a network of sites that house the main facing ProPractices site and its subdivision websites. The main website presents an overview of advisory services connecting clients to its subdivision websites that focus on individual sectors. 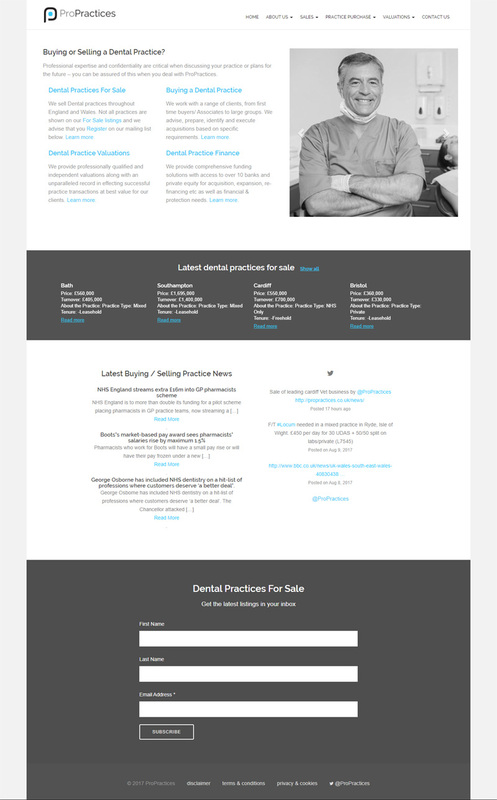 Subdivision websites contain information connected with individual practice sectors. 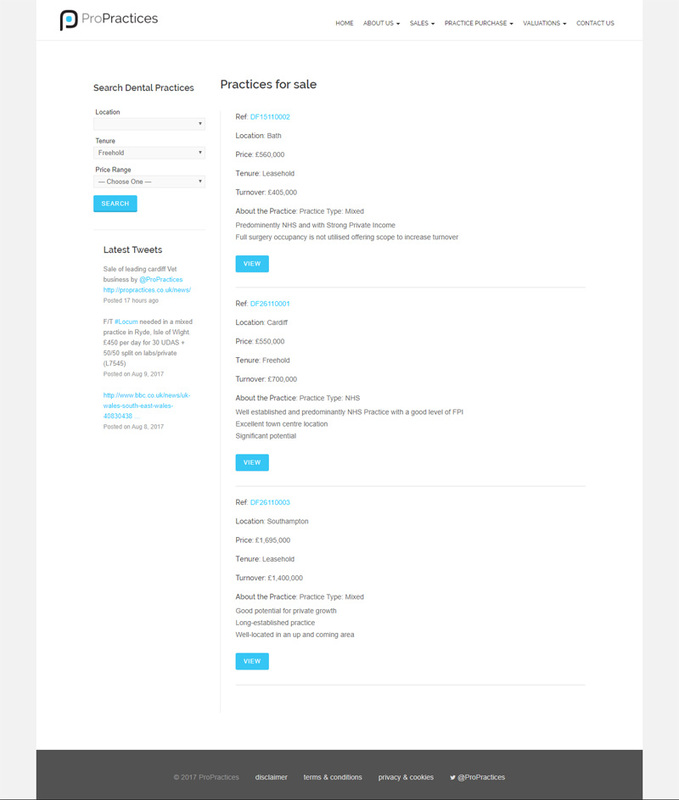 Subdivision websites also feature an advanced search of available practices for sale.